Thank you for making a donation to Colorado Adaptive Sports Foundation. Your contribution will provide physical disabled athletes the opportunity to participate in adaptive team sports programs. Become a Friend and Donate Today! Your donation will be either a one time payment or an automatic reoccurring payment. Enter your donation level once or for each month. For reoccurring payments PayPal will automatically deduct that amount from your credit. Simple and efficient. You will be making a difference every month. Much appreciated! $1,000.00 provides sled hockey for one kid per season. 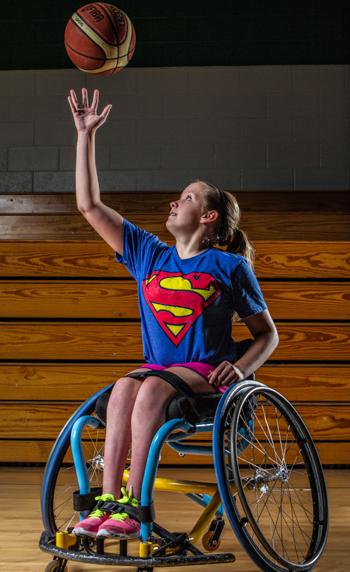 $2,500.00 provides wheelchair basketball uniforms for the entire team. $5,000.00 allows the adult lacrosse team to travel to out of state games. Do you shop at King Soopers? If you do, you can support CASF at no cost to yourself. Simply contact CASF and request a gift card. Then each time you go into the grocery store you load money on to the card and then use the card to check out with at the register. Overtime you load your card, King Soopers will donate 5% back to CASF. For example, if you put $100 on the card, King Soopers donates $5. You still have $100 on your card. It is simple and free to you to donate to CASF. How does AmazonSmile work?For eligible purchases at AmazonSmile, the AmazonSmile Foundation will donate 0.5% of the purchase price to the customer’s selected charitable organization. Simply click on the link above and you will be direct back to AmazonSmile. At the top of of the page you will see that your purchases will be supporting the Colorado Adaptive Sports Foundation.